Who was King Lucius of Britain – and did he really exist? A new book published this month (1 May) tackles the long-standing historical mystery surrounding the 2nd century monarch Lucius. Lucius is older than King Arthur but less well-known. According to legend, he was the first native Christian in Britain, after being baptised by missionaries from Rome. He set up the archbishoprics of Britain and is also said to have founded the Church of St Peter-upon-Cornhill in London in 179 AD. He travelled to what is now Switzerland and became a saint. He is often referred to as a legendary or mythical monarch and his existence has been a subject of controversy among historians. For centuries his identity was contested, and for the last 100 years it has been accepted by historians that he was mistakenly identified as the King of Edessa, today known as Urfu in southern Turkey. Now, in a quest to establish Lucius’s real identity and to place him in a historical context, David J Knight, an archaeologist from the University of Southampton, has extensively examined relevant historic sources spanning 1600 years, as well as recent archaeological discoveries. 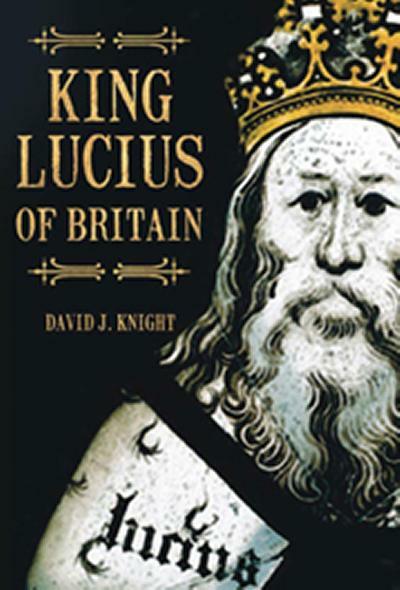 His book ‘King Lucius of Britain’, published by Tempus, sets out the results of his research. He uncovers the history behind the man who had a central influence on the early church, making a powerful argument that Lucius did exist and should be recognized as one of Britain’s earliest monarchs. His book is the first devoted to the subject of King Lucius and also considers the related Swiss traditions of St Luzius von Chur. “All mentions of King Lucius after 1904 are footnoted with the conclusion of Adolph von Harnack that Lucius was actually King of Edessa, King Abgarus the Great to be specific. However, archaeology was in its infancy in 1904 and despite recent archaeological discoveries, von Harnack's conclusion has persisted. ,I discuss these later discoveries and demonstrate that Lucius is most likely not mythical or a legend but did in fact exist, reclaiming one of our most ancient monarchs. “This book reopens the question of the context and identity of a 2nd century British king otherwise forgotten and pushed into the realm of legend and myth. It is the first book ever to be solely dedicated to King Lucius and as such offers a foundation and resource for further archaeological and historical study,” he concludes. A digital image of the cover of the book is available from Communications on request. Archaeologist David J Knight was born in Guelph, Canada, in 1964. While undertaking a Fine Art degree at the University of Guelph, he spent summer breaks working with the Canterbury Archaeological Trust in England. He then completed a Masters in Archaeology at the University of Southampton, UK. While living in Quebec in 1995 he became intrigued by King Lucius and began the research which has led to his book.